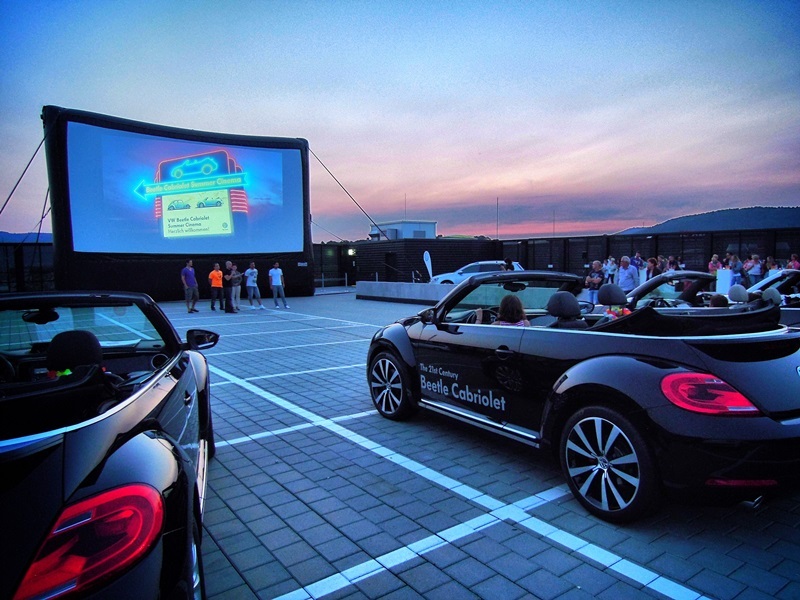 The general importer of Volkswagen in Switzerland, AMAG, conducted a drive-in cinema tour for selected VW subsidiaries throughout the whole of Switzerland in the framework of a marketing campaign for the relaunch of the Beetle convertible. 50 white and black Beetle convertibles were “part of the luggage”, travelling from one tour stop to the next on two semitrailers. 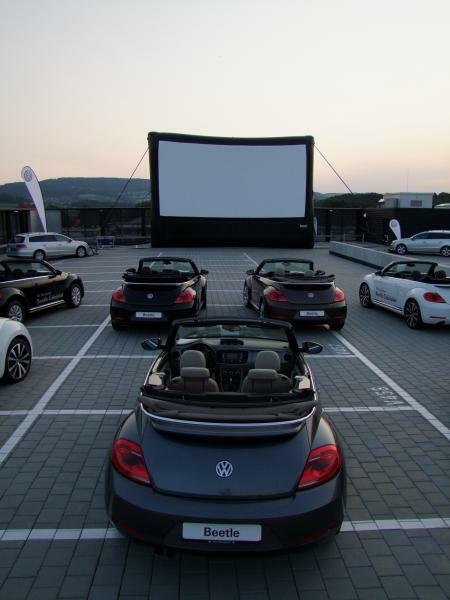 A lottery was organized by Radio Energy for the end users, who could win tickets to allow them to take a seat in one of the Beetle convertibles brought along. 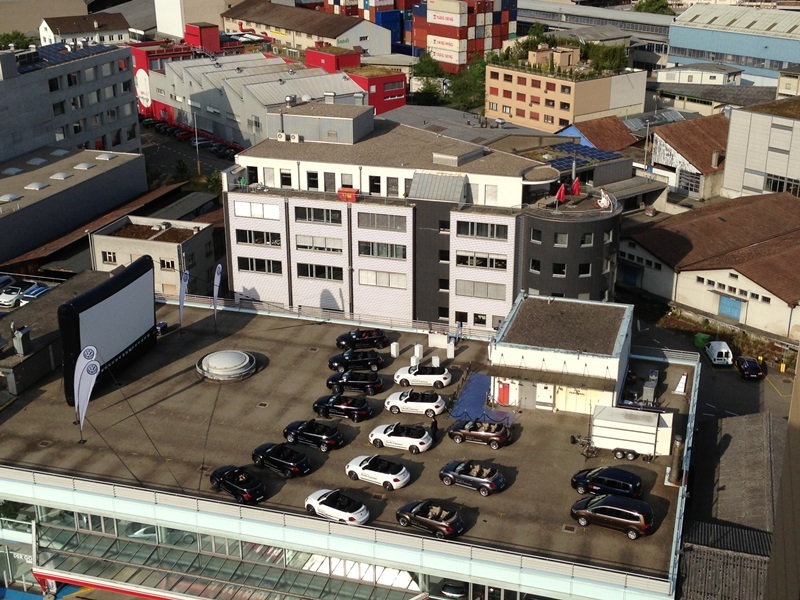 Depending on the spatial conditions, guests traveling in their own cars were also able to participate.